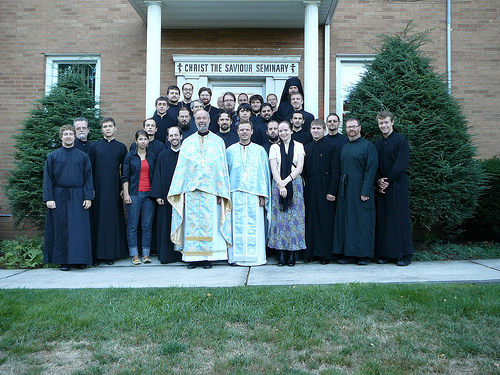 Ukrainian Orthodox Church of the USA - St. Sophia Seminarians Participate in the OISM at Christ the Savior Seminary! 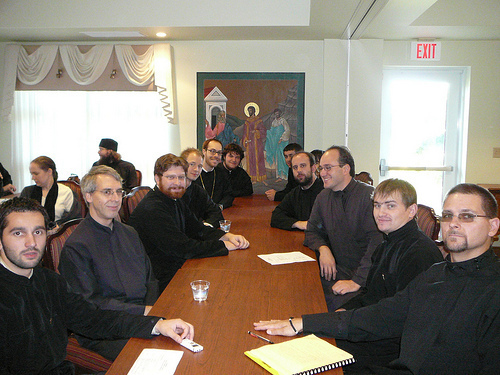 St. Sophia Seminarians Participate in the Orthodox Inter-Seminary Movement at Christ the Savior Seminary! Seminarians Subdeacons Vasyl Pasakas, Andriy Matlak, Vasyl Dovgan, Philip Harendza and Ioan Mazur arrived to Johnstown, PAon Friday evening, September 24, 2010. 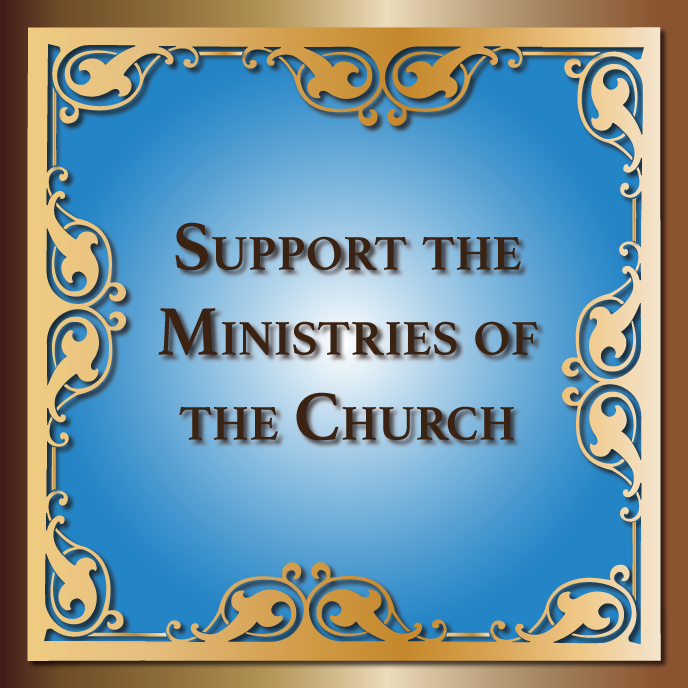 Late in the evening, the meeting opened—and, for most, a long day of travel ended—with the celebration of a Moleben to the Holy Spirit Before Beginning Any Good Work. 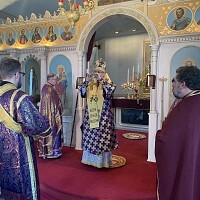 In the afternoon, the seminarians visited Antiochian Village in Ligonier, PA. Providentially, the OISM meeting coincided with the annual St. Thekla Pilgrimage at Antiochian Village. In addition to touring the facilities, grounds, library and museum, the seminarians were able to participate in the Mystery of Holy Unction, which was served in the afternoon as part of the pilgrimage. A number of seminarians also took the opportunity to visit the grave of St. Raphael of Brooklyn, who is buried on the grounds. 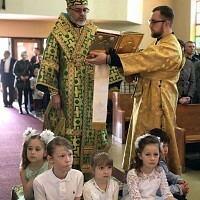 In the evening, Great Vespers was celebrated at Christ the Savior Cathedral. Dinner was served at the diocesan chancery, followed by the OISM General Assembly meeting. To close the evening, Deacon Pawel Mucha of the St. John the Compassionate Mission and the Lived Theology School in Toronto gave a stirring presentation on the multi-faceted ministry of the mission. On Sunday, the seminarians participated in Divine Liturgy at Christ the Savior Cathedral. 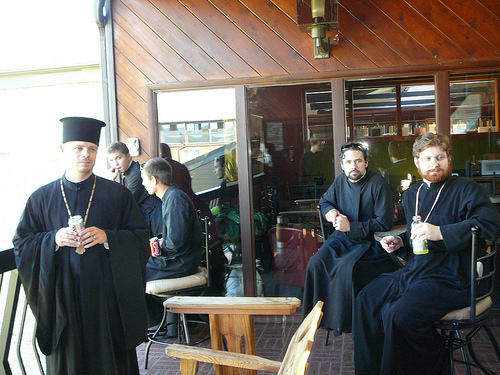 After refreshments at the seminary, the gathering concluded. 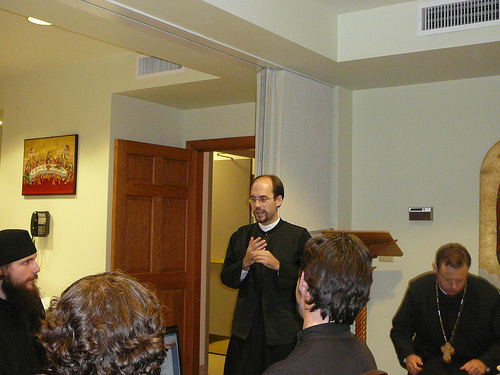 The next meeting of OISM will be held in the spring at St. Vladimir's Seminary. 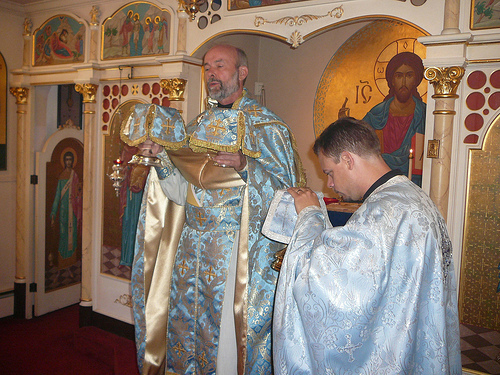 Ukrainian Orthodox Parish in New Britain, CT Celebrates 100 Years! Pani-matka Maria Newmershytska of Blessed Memory!